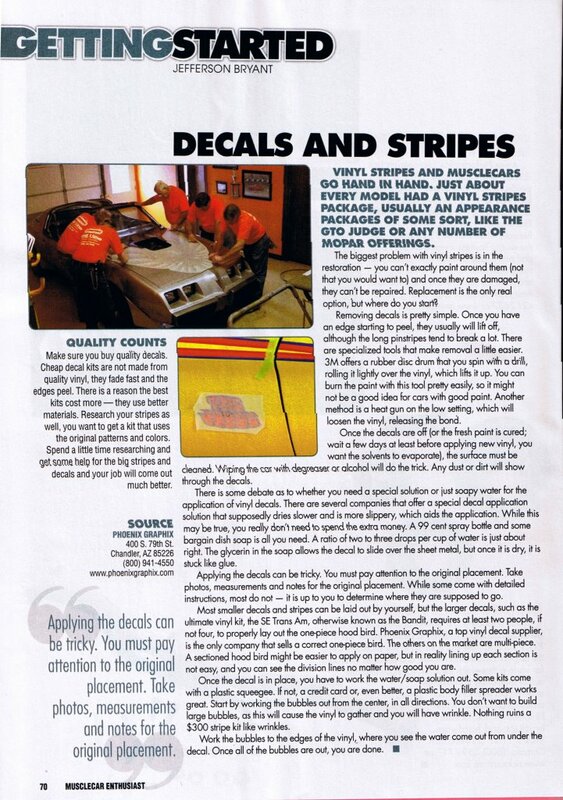 In the last twenty-five years Phoenix Graphix has become the go-to company for Professional, Correct and Official Restoration Decals & Stripes. Famous people, Movie Stars, Museums, well-known companies, magazine publishers, book authors and even Hollywood Movie Producers all trust Phoenix Graphix to supply affordable, quality products. Muscle Car Restorations; A highly respected restoration company started in 1989 by John Balow consistently produces award winning concours restoration vehicles. These vehicles use Phoenix Graphix products to achieve the perfect results demanded by MCR. Many of these vehicles are used in television and movies too!